Today’s project is one that I use all the time! The makeup brush case helps keep every thing altogether and tidy, especially when I’m traveling. During class, I will show you how to simple it is to add bias binding in one pass and the best part is the machine will do all the work. 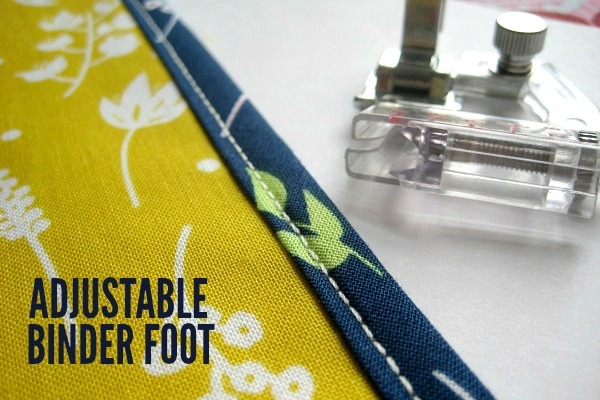 That’s right, the bias binding foot is pretty amazing and make your work sing! Don’t just take my word for it, let’s see it in action. Let’s become better sewers this year by learning how special accessories like the bias binding foot can showcase our talents. 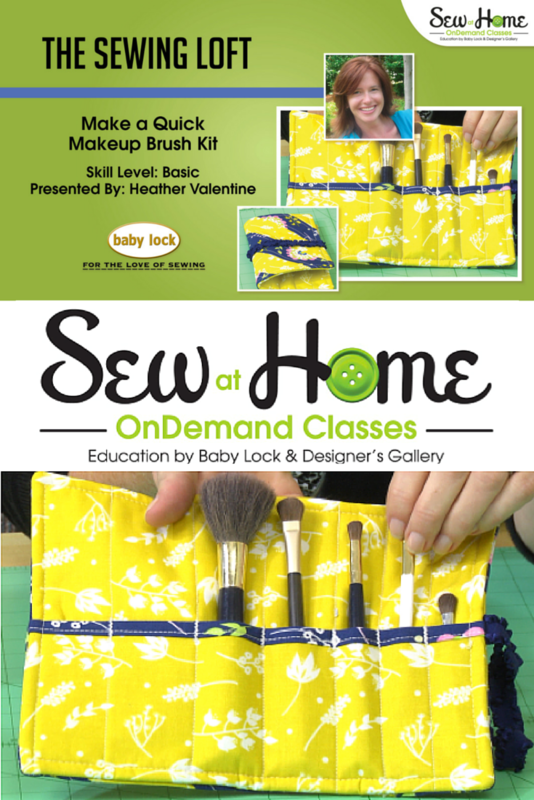 Come stitch with me and MakeUp Brush Case. You can download the pattern watch the class for free today. 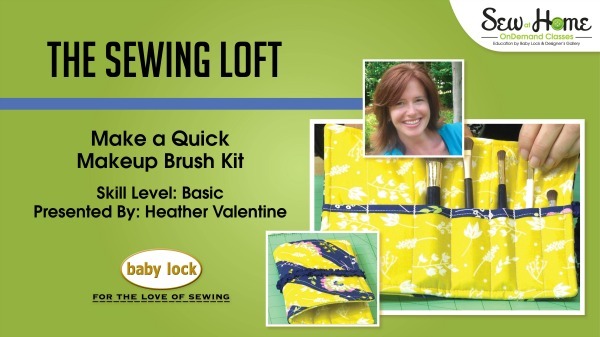 Click here to learn something new and stitch with me. ps- You can see all of my free videos in this series here. I don’t use makeup, aside from lipstick or lip gloss on rare occasions, but something similar to this would be great to hold my manicure tools. I downloaded your pattern, intending to make adjustments in the depth of some pockets for the shortest tools, or perhaps just an additional layer of shorter pockets. The tough part will be deciding which of my scraps to use for the patchwork side… and then staying motivated to finish the project. I never knew the made a foot to do that! I looked some up on Amazon and it seems a lot of people remarked that it doesn’t work on any curved areas, is that true? Yes Molly, that is true. It was designed for straight seams. It would be cool if someone would design one. I might have to work on that. There are so many possibilities for the foot! That would be amazing! Does the foot work easily for turning angled corners? I’m working on a hexagon quilt that will have the hexagon shaped edges – I would like to add a binding to it, but they’re small hexagons and it just seems like tons of work, I’m wondering if this would help, or if pivoting on all those corners would just be a hassle.